Kodagu district of Karnataka is also known as Coorg, popularly known as Scotland of India is a wonderful place to rewind yourself and known for its coffee and people. Coorg County is rated as one of the top hill station destinations in India and some of the most popular tourist attractions in Coorg includes Nisargadhama island,Iruppu and Mallalli Falls,Nagarahole National Park, Tibetan Buddhist Golden Temple,Trekking and Hiking in the Western Ghats. Abbey falls is one of the most amazing attractions in the Coorg along with Iruppu and Mallalli Falls. 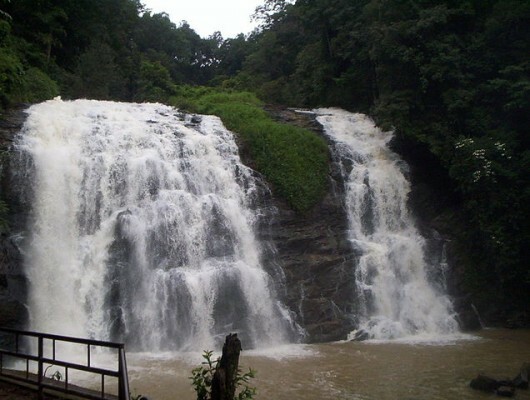 This picturesque waterfall is located inside the coffee plantations and among the top 10 attractions of Coorg County. Coorg is one of the biggest manufacturers of coffee in India with magnificent coffee estates adorning the hills of Western Ghats. There are number of coffee estates in the area such as Sandalkad Estate,Tata Coffee and Coorg County. 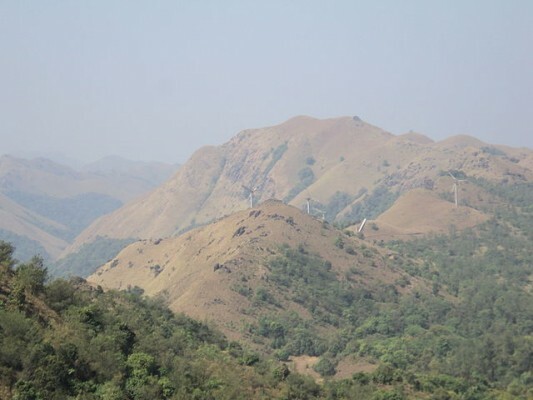 Coorg is popular spot for trekking and offers panoramic views of the surrounding mountain ranges. Brahmagiri trekking trail and Pushpagiri peak trek are few toughest treks in the Western Ghats range in Kodagu district. 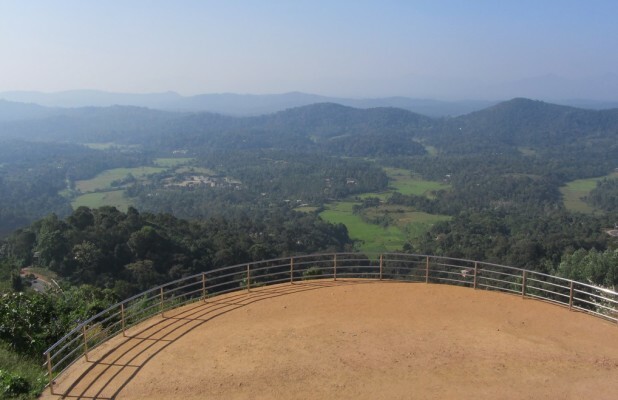 Raja’s Seat or the Seat of the King is one of the most important tourist spots in madikeri and a famous sunset point in Coorg. This seasonal garden of flowers with artificial fountains is a lovely spot and favorite place of recreation enhanced by beautiful surroundings. 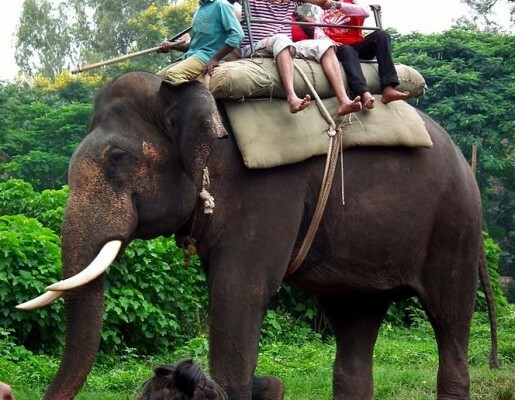 Dubare Elephant Camp is located on the banks of River Cauvery in the district of Kodagu and an important base for the Karnataka Forest Department’s elephants. This reserved forest is dedicated for the elephants and one of the famous elephant training camp in South India. 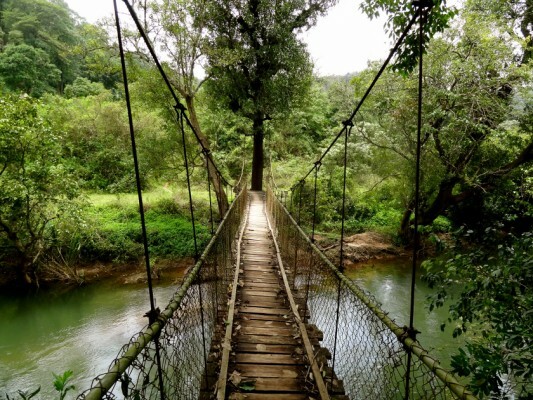 Madikeri also called as Mercara is a hill station town and the capital of Coorg. The town is one of the most beautiful tourist places in South India with list of tourist attractions such as Abbi falls, Raja Seat, Omkareshwara Temple and Madikeri Fort. Talakaveri is considered to be the birthplace of the holy river Kaveri,situated on the slope of the Brahmagiri Hills. Nearby Brahmagiri hill is situated right beside the temple and this place offers 360 degree view of the surrounding hills. Bylakuppe is a Tibetan settlement area which is home to Buddhist monasteries,Namdroling Monastery or Golden Temple and Ingalakere lake. 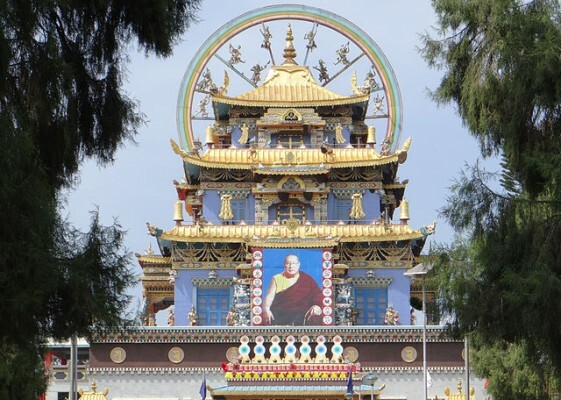 Namdroling Monastery also known as Golden Temple is the most famous monastery in the region. Kaveri Nisargadhama is a beautiful river island formed by Kaveri river near Kushalnagar and one of the most popular holiday destination in Karnataka. The island has hanging rope bridge,Elephant rides,boating, sandalwood and teak trees. Bhagamandala is a sacred place in Coorg,situated on the river Kaveri in its upstream stretches where Kaveri is joined by two tributaries. This Triveni sangama of south India is a common practice for pilgrims to take a holy dip and perform rituals to famous temples. 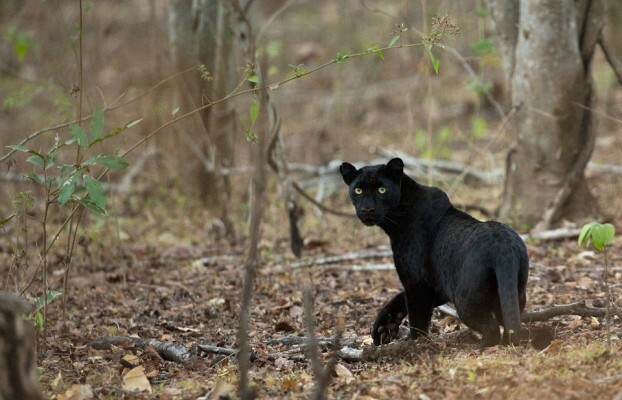 Kabini Wildlife Sanctuary is one of the most popular wildlife sanctuaries in south India and noted for its amazing population of Black Panther in India. The reserve forest of Kabini houses a number of endangered and rare animals, reptiles,birds and wildlife. Brahmagiri Wildlife Sanctuary us one of the three least known wildlife sanctuary of Karnataka and home to highest point, the Brahmagiri peak. 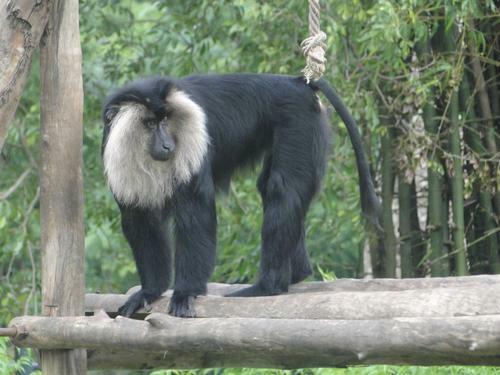 The area has grasslands with shola forest and home to a lot of wildlife including Nilgiri Marten,Lion-tailed Macaque,Slender Loris,Malabar Giant Squirrel and Nilgiri Langur. Nagarhole National Park is part of the Nilgiri biosphere reserve and has a healthy predator-prey ratio in India. 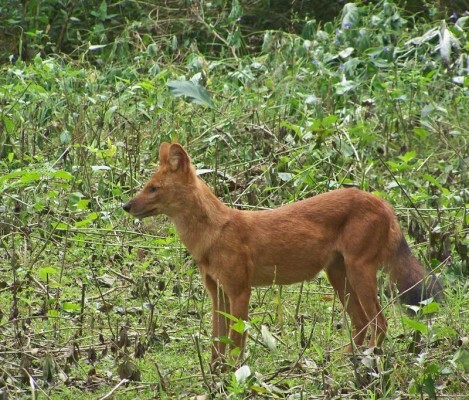 The park ranges the foothills of the Western Ghats and home to important predators and carnivores like Bengal tiger, Indian leopard and Ussuri dhole. 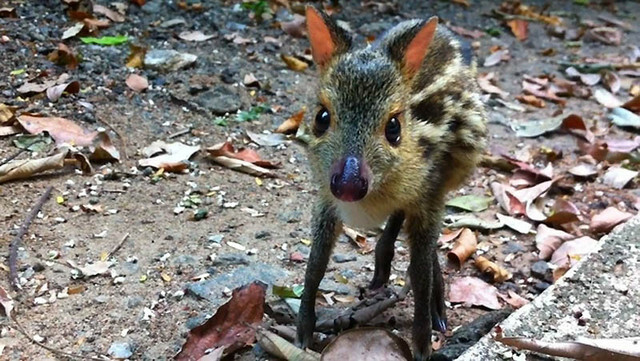 Talakaveri Wildlife Sanctuary is situated in the vicinity of Madikeri of Coorg and known for some of the rare animal species including mouse deer, Stripe-necked mongoose and Clawless otter. 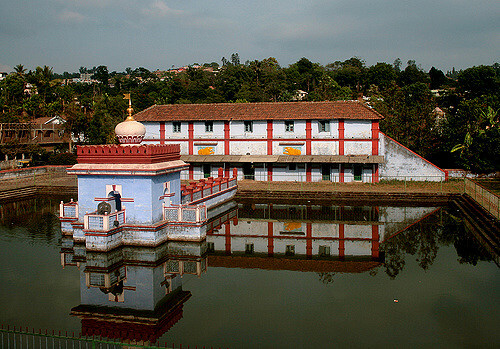 Sanctuary of Talacauvery lies in the Western Ghats and a major destination of tourists visiting Coorg County. Pushpagiri Wildlife Sanctuary is one of the important Sanctuary of Karnataka state and noted for home to rare and endangered birdlife. 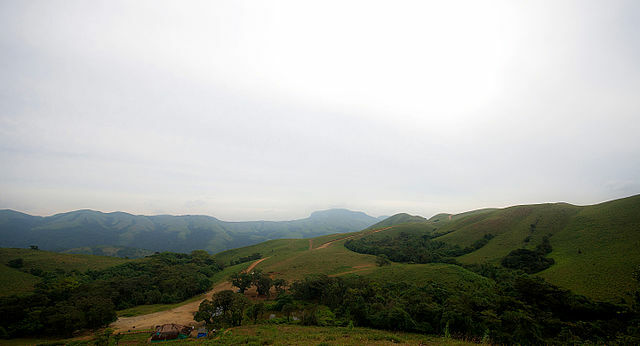 Pushpagiri is one of the highest peak in Coorg and has been proposed as one of the natural world heritage site in India.